Hi, Mary! Thanks for visiting us today! Why don't you start by describing what you write. 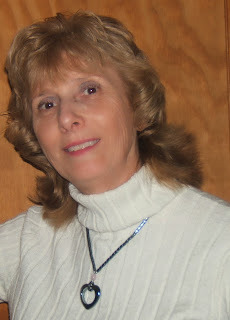 I write Inspirational fiction, mystery, suspense, and romance. How would you label the overall mood of your stories: dark, gritty, poignant, sensitive, heart-warming, raucous, light, fresh, funny, educational, adventurous, witty, passionate, reminiscent, sweet, forceful, eye-opening? Hallmark stories laced with the faith and the Lord’s mercy. Before Christmas, I signed another contract with my publisher. We’ll soon begin the editing process. Below is the blurb. For Robert, a chance meeting with an Alcoholics Anonymous sponsor offers hope. A new devotion to the Lord and a relationship with Belle McBride gives him expectations for a better future. His life appears to be on the right track, until he comes full circle with his past and faces the one mistake that haunts him daily. Can forgiveness-free Robert or will he return to the life he once had? Wow! That premise resonates with me, because the hero of my historical WIP faces the same issue. Very needful subject these days. Now, about you. Do you work a job other than writing? Is there a secret/technique you’ve found that helps with balancing the writing and working life? Yes and no-I don’t work in a public job, but I keep my grandchildren and I’m a part-time caregiver for my eighty-one year old mother. My technique isn’t one at all. I write when I can, as I can. Sometimes, it’s a few hours a day, or I go several days and only write a few paragraphs. I read both paperback and e-Books. I love paperbacks. The feel of the pages takes me back to an easier time, but with my busy schedule there are times when I wouldn’t be without my e-reader. I can read while waiting at appointments and don’t have to worry about remembering my books. I completely agree! Thanks for coming, Mary! 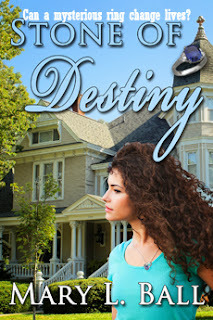 Mary L. Ball enjoys weaving together Inspirational fiction novels blended with romance. Mary lives in North Carolina and weaves together stories that she hopes will encourage people to see the wonder of love and a divine guidance that often lies dormant, waiting to be found. When she’s not writing Mary enjoys fishing, reading, and hiking. Her first contact with what she believes is an insignificant ring, lost for fifty years, sends her life spinning. Taylor experiences strange, unexpected feelings that she doesn't understand. Thoughts that should remain unspoken are voiced. Thanks Natalie for having me on your lovely blog. Thank YOU, Mary! And it's a pleasure! I know! This story looks great, doesn't it? Thanks for coming by, Diane!! Sounds like a great inspirational writer this was a great way to get to know the Author, Mary Ball. Hi, there! I love meeting new authors and hearing about new books, too! Thanks for coming to visit! You're right about the alcohol theme being needed in our present world, Natalie. Great interview as always ! Thanks, girl! And CONGRATS to your lovely contest-winning self! ;) I'm still jumping up and down! You and your story deserve it!